While the number of motor vehicle deaths has decreased significantly in the last fifty years because of advancements in vehicle safety technology, new data from the National Highway Traffic Safety Administration (NHTSA) reports that the number of fatal crashes involving SUVs and large trucks has increased. SUVs are the most popular type of vehicle in North America and their owners typically believe that they are a safer type of vehicle. This elevated sense of security sometimes causes drivers of SUVs to become lazy and develop certain unwanted and unsafe habits while on the road. It is important to ALWAYS use turn signals. Turning or changing lanes without using a turn signal to caution other motorists increases the risk of accidents, especially rear-end collisions. Good drivers should never fail to inform other drivers of their intended actions. It is no surprise that speeding is the most ticketed driving offense. 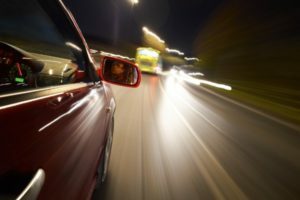 Driving above the speed limit is an important factor related to the cause, severity, and seriousness of injuries of all motor vehicle accidents. One of the most common bad driving habits as people, especially teenagers, just can’t resist the temptation to look at their phones while driving, even if it occurs mostly while they are stopped at a traffic light. Tailgating often causes rear-end crashes. The number of pedestrians killed in accidents involving SUVs has increased dramatically by over 80 percent in the last ten years. It is vital to pause that extra moment to double check and ensure that there are no children, pedestrians, or cyclists. Blind spots in SUVs are a common cause of motor vehicle accidents. Typically, motorists fail to check blind spots before changing lanes. It is important to check mirrors and quickly turn to look to ensure a safe lane change. Merging into traffic is give-and-take. It is important to do for others what you would hope they do for you! Driving or changing lanes at a high rate of speed, as well as any other form of aggressive driving are often the sources of motor vehicle accidents and road rage incidents. The left lane is still intended for faster-moving traffic and those who wish to pass or move through traffic. If moving at a slower rate of speed than other traffic, it is best to drive in the right lane. If you or a loved one has suffered any type of injury resulting from any type of accident, contact Powell Law at (570) 961-0777 or visit us online. The attorneys and staff of Powell Law carry on the work of a law firm that spans generations and has represented thousands of Pennsylvanians over a period of 112 years. The consultation is free and you don’t pay any fees unless we win your case! Call today.